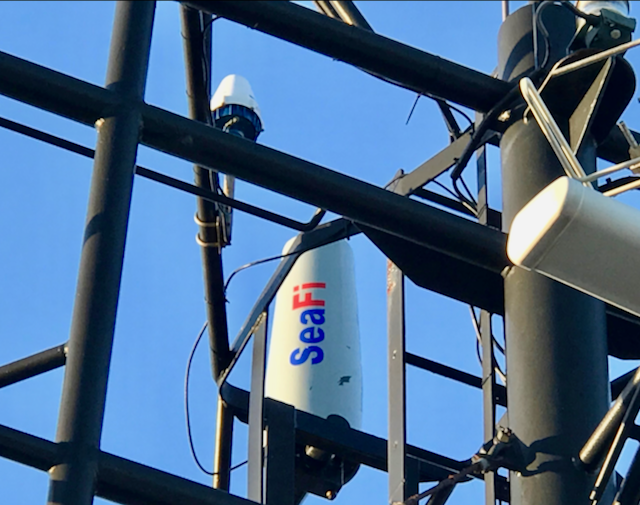 As part of the development of the Port of Waterford, the Irish based company SEA-Tech Evolution has installed and successfully trialled their bespoke marine wireless ICT network at the Belview port, a multi-layered infrastructure to support future connectivity needs. Online from Q2 of 2017, this progressive development makes Waterford Irelands newest SmartPort, providing further expansion possibilities for the full Waterford Harbour and river Suir area. Middle watch 0000-0400 - First bell... Today as I was unsure about the exact explanation of why we were receiving so many radiowaves in provenence of the Celtic Sea, on Saturday, I've decided to prove Cicero right one more time and I when meeting one of my student (Ian B.) who teaches Radio Communications in NMCI. The National Maritime College of Ireland (NMCI) Open Day will take place on Thursday, 22 October ‘15 from 10:00 to 15:00. SEA-Tech, an active member of the Irish Maritime Community, several time awarded for Excelelnce in Educations, Innovation in Maritime Technology is carrying high the colours of NMCI. Tours of the Sea Survival Centre, Bridge B Simulator, Electrotech area, Chart Room, Engineering Workshops and Engine Room Simulator. An Events’ Hall to visit the maritime companies and organisations. There will be presentations in the Lecture Theatre.